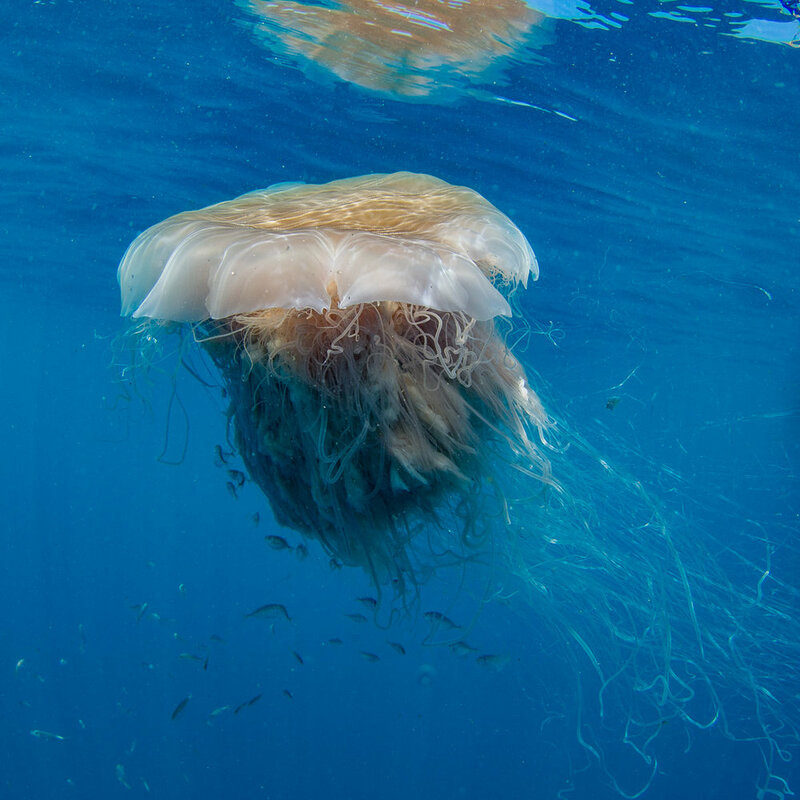 Above: Large lion's mane sea jellies are often found on the GBR. Dr Tony Ayling and Dr Avril Ayling. Sea Research ABN: 51 594 242 720. Registered for GST. Address: 20 Rattray Ave, Hydeaway Bay, QLD 4800, AUSTRALIA. Phone: mobile 0409 666 655 International: +61 409 666 655.